Utility customers in central Massachusetts towns of Amherst and Pelham lost power earlier this week when severe thunderstorms that impacted much of the northeast swept through the area. During the storms, lightning struck a power line knocking out a circuit that provides power to some 1,500 Eversource customers, including 98 percent of its customers in Pelham. The outage accounted for about 40 percent of the outages in the state during the storms, which, according to the Massachusetts Emergency Management Agency, impacted nearly 3,500 electric customers. By late afternoon, Eversource had been able to dispatch crews safely and restore power to the majority of the customers. 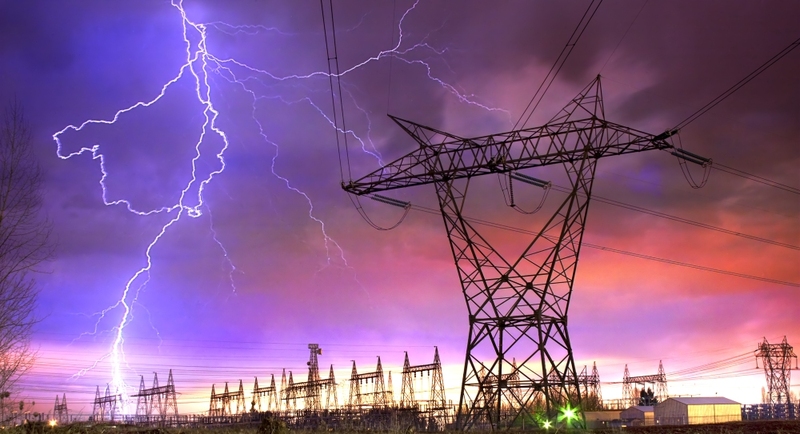 While power outages due to lightning are relatively common – as far as causes of outages go – they are entirely unpredictable and can cause severe damage to unprotected electrical equipment. Most equipment in the U.S. is designed to handle normal power fluctuations due to the inherent changes of AC current as it changes direction. However, lightning strikes can cause surges well in excess of those normal fluctuations, “frying” circuits in microprocessors instantly, causing equipment to fail. For business, which rely on servers, switches, routers, and other connected technology, damage to these systems can cause lengthy operational outages and lost business. It’s a risk not worth taking, considering the frequency and unpredictability of surges and costs of replacing, installing, and configuring new systems. To prevent damage, businesses can protect their equipment with UPS systems designed to not only provide backup power during outages, but to regulate line voltage to eliminate the impact of even small surges that can degrade circuits and eventually cause them to break. Power protection systems can be configured to fit any business, from the smallest to the largest, and can include remote power management software that allows IT staff to monitor and control power to connected equipment from anywhere. That includes the ability to remotely shut down equipment during an outage to prevent damage or data loss if outages exceed the runtime provided by UPS systems.